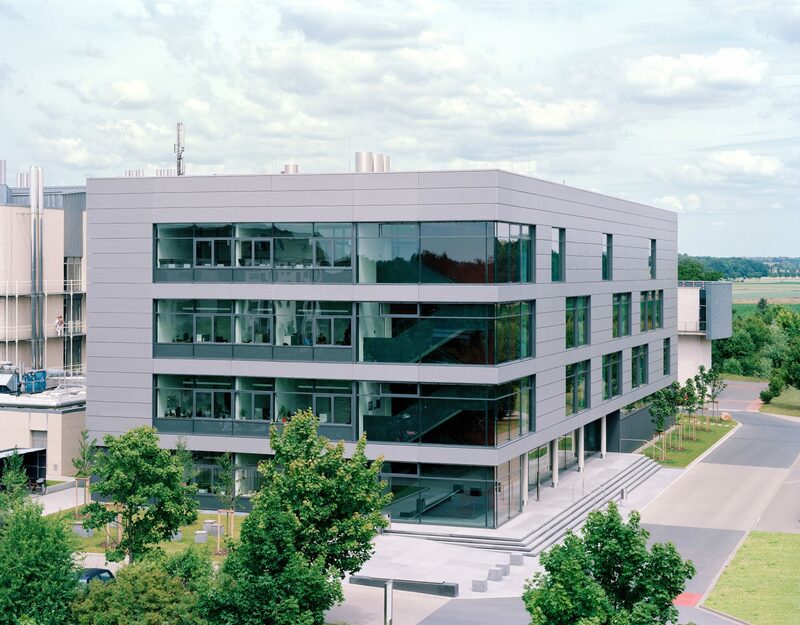 The Helmholtz Center for Infection Research site is located south of the Braunschweig city centre in the Mascherode district. 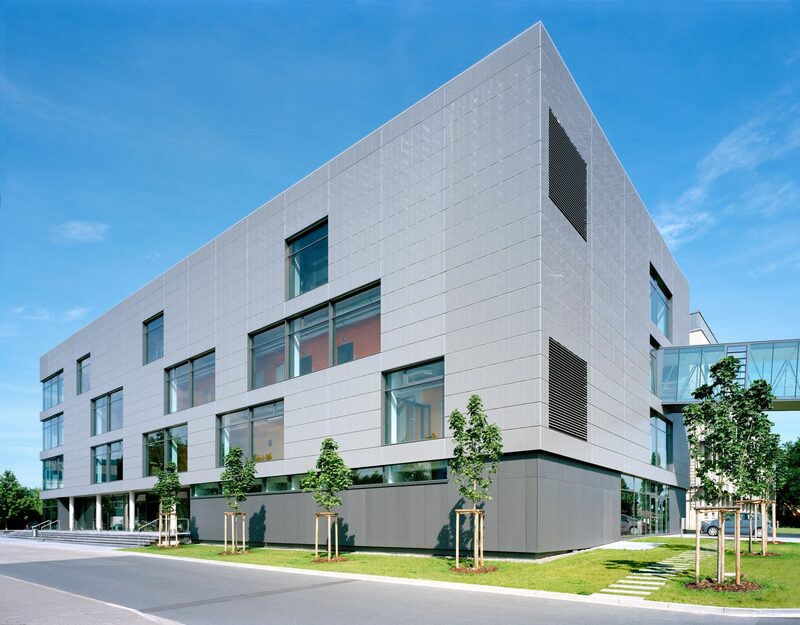 The building site for the new research facility is located along an extension of the main entrance and is therefore located in a significant area of onsite urban development. 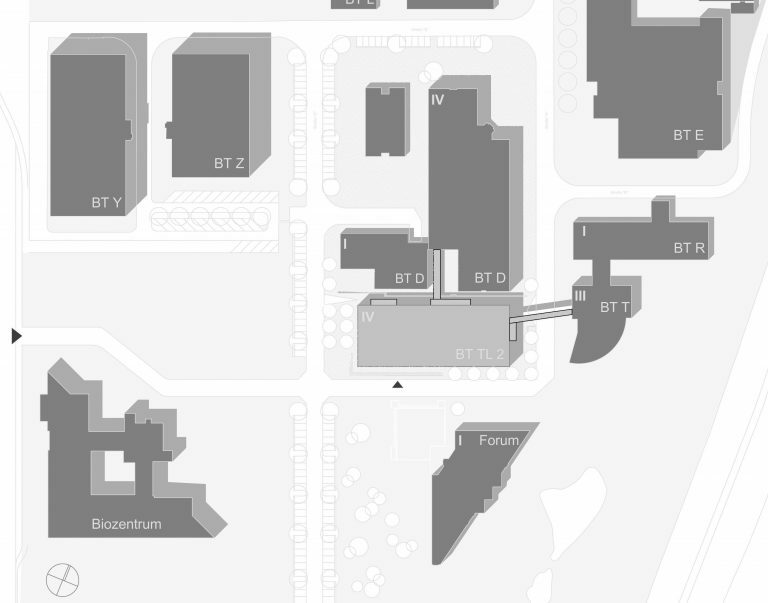 The new development will bolster the fields of infection and immune system research. 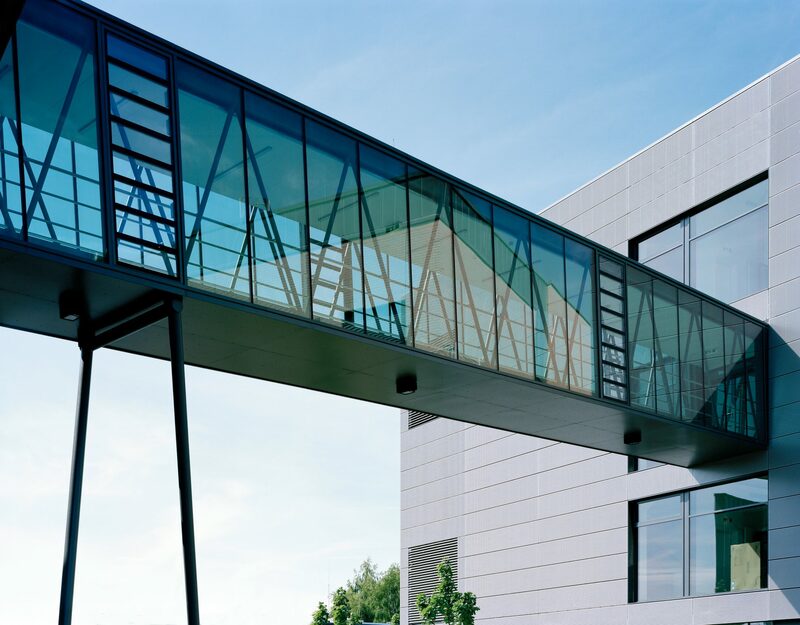 The clearly defined building structure soothes the surrounding heterogeneous environment and forms the new center of the research campus in Braunschweig through the orientation of its public areas towards the forum. 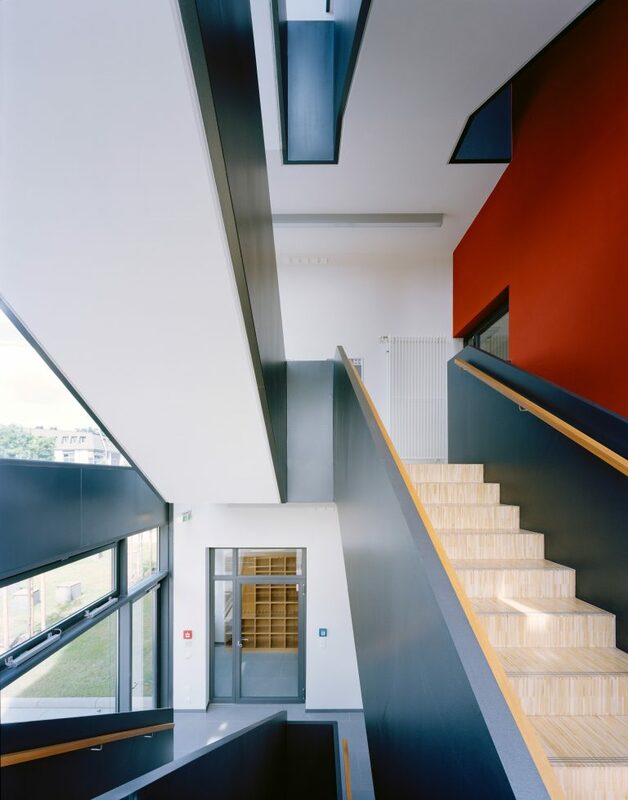 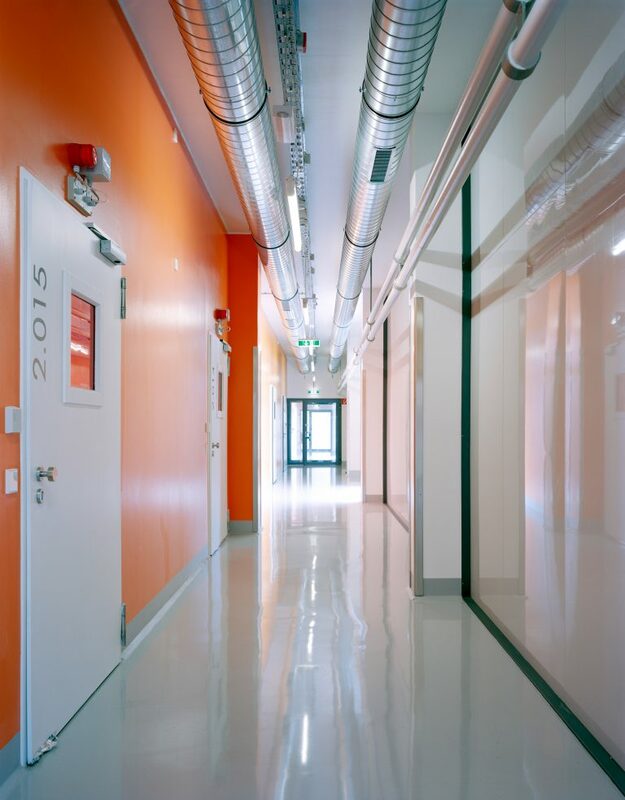 The uniform colouring of its uppermost surfaces creates a smooth transition between the interior and exterior. 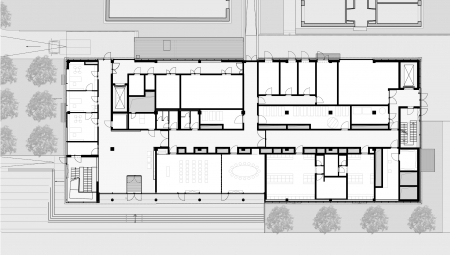 The design is characterised by consistent planning from inside to outside in order to achieve the perfect arrangement and room usage with regard to its functional interrelations. 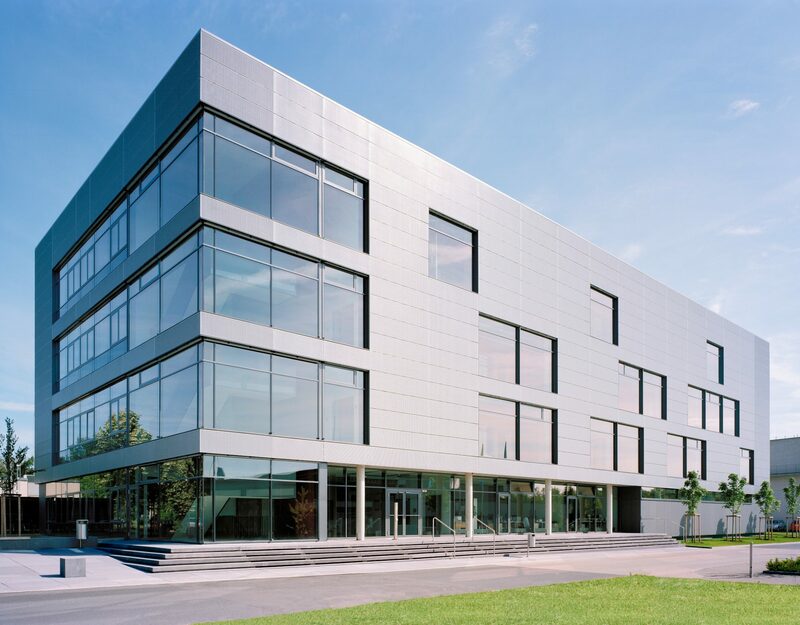 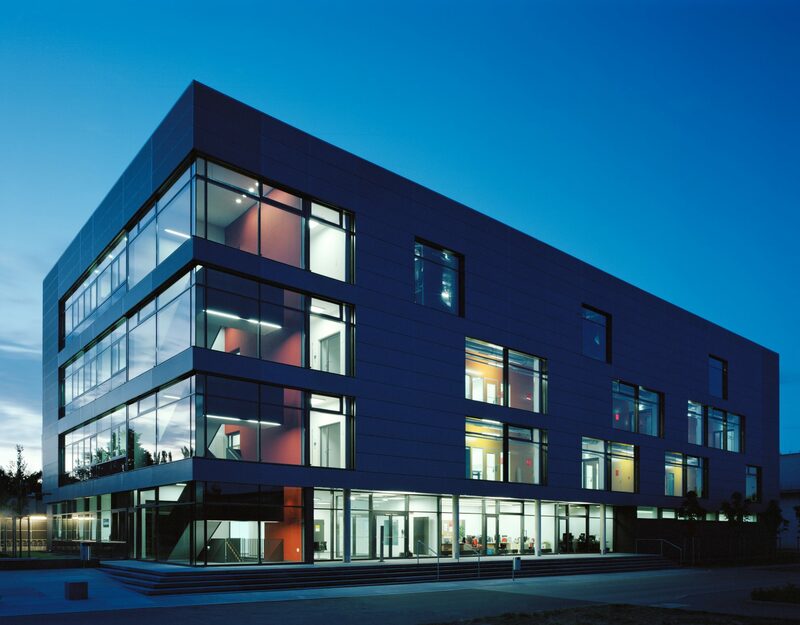 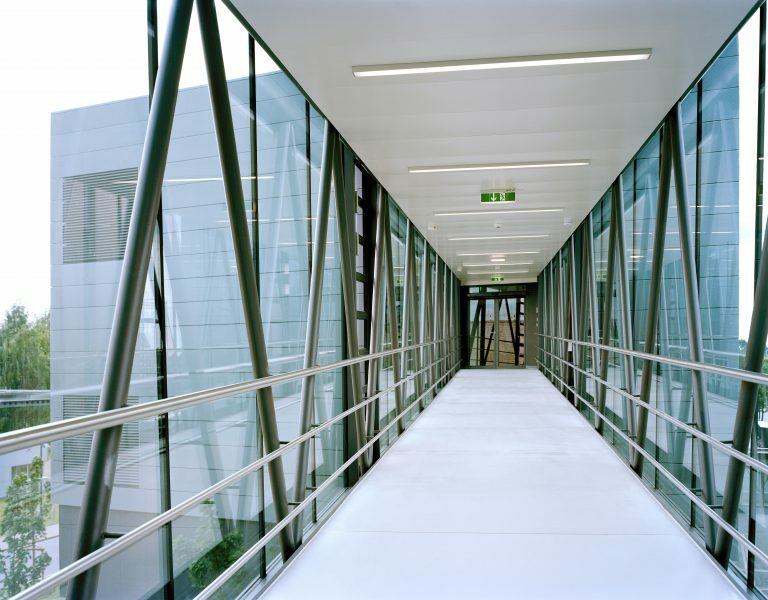 The choice of material varies depending on the use and emphasises the technical expression of the facade through the implementation of aluminium sheets and glass. 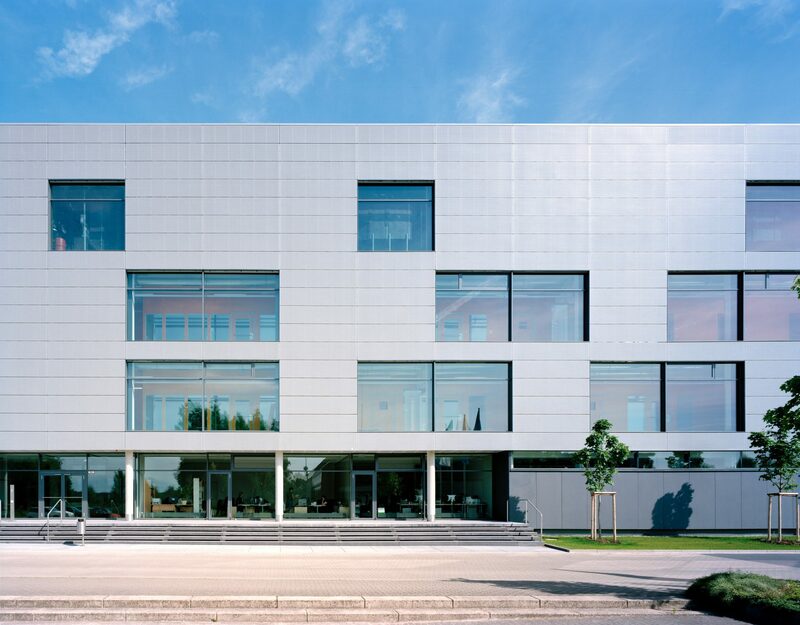 Flat cladding of the facade accentuates the building based on the principle of contrasts between closed and open areas. 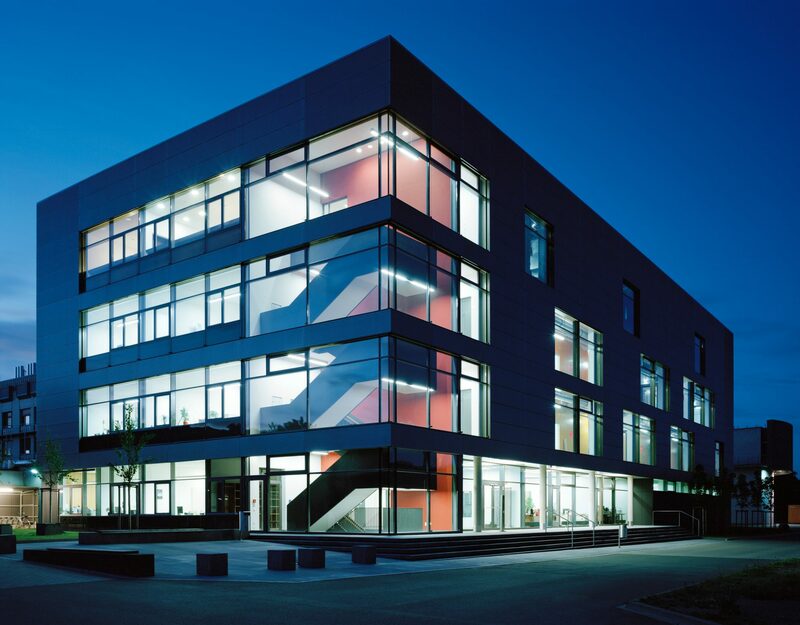 The security levels of the laboratories (S1-S3) are differentiated by colour and can be seen from outside the building.